Congratulations to the Ohio State University EcoCAR 3 team on winning its third consecutive EcoCAR 3–Advanced Vehicle Technology Competition. 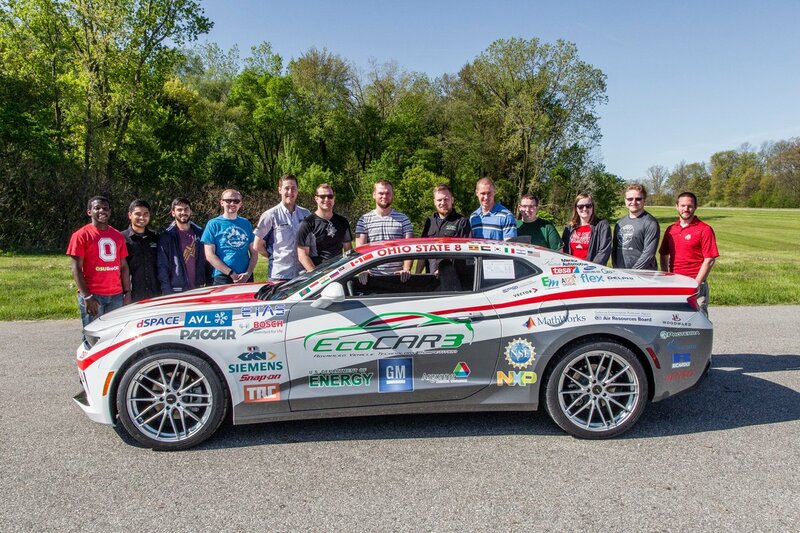 EcoCAR 3 is a four-year collegiate automotive engineering competition that challenges 16 universities across North America to redesign a 2016 Chevrolet Camaro, improving its efficiency and emissions while retaining the iconic Camaro performance value. 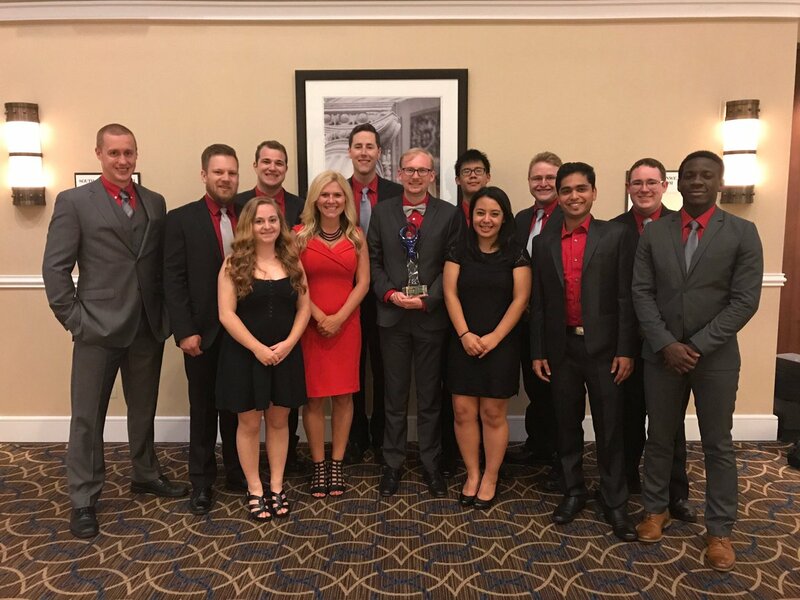 With the win, the Buckeyes stretched their three-year winning streak to four The team at the awards ceremonyyears, having come in first in the final year of the EcoCAR 2: Plugging In To The Future competition and the first two years of EcoCAR 3. Ohio State placed first in 11 of the 15 awards they won and will be taking home over $20,000 in award money. The team at the Ride & Drive event with Al Oppenheiser, Camaro Chief Engineer at General Motors. 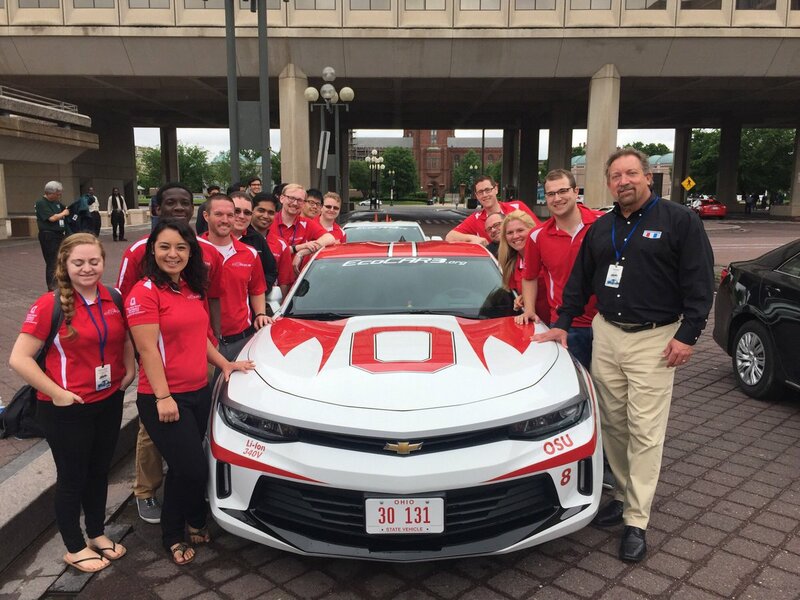 The Ohio State EcoCAR sponsors include TE Connectivity; Johnson Controls; Ford; Honda; DENSO North American Foundation; Fastenal; Cooper Tire and Rubber; Clean Fuels Ohio; Earth Day Coalition; Ganley Chevrolet; and Auto Smarts Radio. To learn more about the Ohio State EcoCAR 3 program, visit ecocar.osu.edu.